Business centres excel when it comes to flexibility, offering a modular service for excellent value and convenience. Businesses are changing at a faster rate than ever before. These days some small businesses are probably the smallest they’ve ever been – modern technology means that a hugely successful company can work with one permanent employee and operate without any formal premises. The benefit of such an operation is its flexibility – when the companies are completing a major contract, they can bring in new people and hire office space without committing themselves to taking on assets permanently. That’s why most of the users of business centres are small business, but it’s certainly the case that even the largest companies are exhibiting increased flexibility in terms of the way they do business, aware of how quickly many sectors now move. Often these large companies are setting up new, quasi-independent departments that work more like a small business, or are looking to introduce new ways of working, so they can benefit from the new approach too. That’s why business centres are proving so popular – and they have value for businesses of all shapes and sizes. They have particular attraction for informal events as they can often be booked for very short periods – maybe even just an hour or so – and any equipment required is usually already on site.Often business centres are used as incubation centres for the smallest of small businesses, offering flexible office space for these companies in their early stages. One of their most important aspects is providing a location for them to host meetings and meet important visitors – avoiding the need to tidy up their often chaotic workspaces! Breakout spaces and rooms of all shapes and sizes emphasise the importance of flexibility and therefore make them suitable for all kinds of event. Business managers are often regularly on call at these centres with plenty of experience and a fund of helpful advice that they can impart. 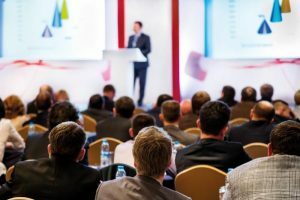 The huge benefit for all companies of using business centres for their conferences and events is that technology comes as standard – unsurprising as many of their regular occupants are voracious users of it. That means you can be assured of WiFi, digital projectors, video conferencing and superfast broadband connections, which are now demanded by a huge number of conference organisers and provide numerous options to make your event worth visiting. Having this kind of technology on tap also means set-up time is considerably reduced, as they are usually created to enable reconfiguration at the drop of a hat. The flexibility on offer also ensures your event can proceed smoothly, regardless of the numerous aspects you want to include. If you want to kick off proceedings with a speech and then invite delegates to split into groups to follow it up, you don’t need to hang around while furniture is dragged across the room – just invite them to find a free space somewhere. 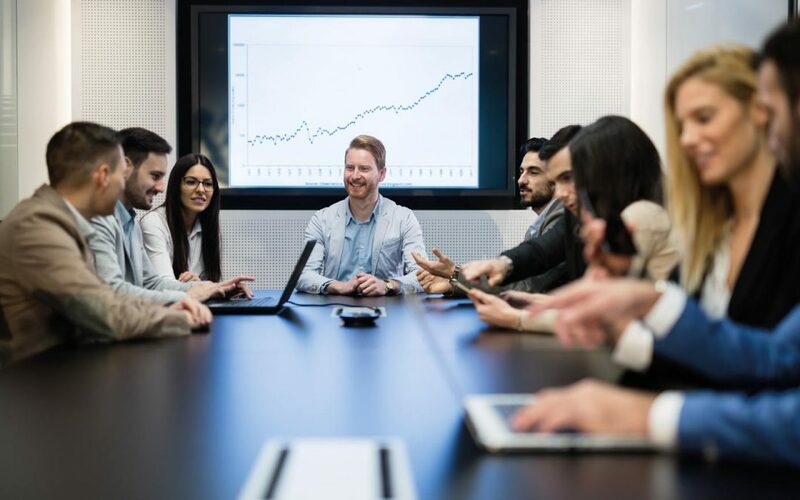 The informal approach will also doubtless lead to some fresh and uninhibited thinking, and you can take advantage of the hotdesking options to allow delegates to work on individual projects during proceedings. 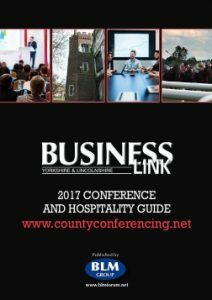 Business centres also help avoid one of the biggest drawbacks of an event – what to do between the sessions. Business centres are vibrant places that usually have a shared communal space, so it’s easy for guests to network and perhaps strike up lucrative business relationships. A cross-fertilisation of ideas can certainly ensure additional value from your event.